This hotel is situated on the edge of the city. Guests staying at the Aldranser Hof Hotel Aldrans may use public transportation to reach the vibrant city center within 15 minutes. The hotel also provides easy access to the ski slopes via a bus service when the season is in full swing. There is extensive public transit in Innsbruck that can take guests of the Aldranser Hof Hotel Aldrans to all the various in-town destinations. The city has its own airport and rail links to other major cities in the area. The rooms at this establishment are provided with private baths. The baths have bathrobes and hairdryers supplied, courtesy of the hotel. The rooms at the Aldranser Hof Hotel Aldrans are available in non-smoking options and are provided with newspaper service. This hotel has a restaurant that offers guests a selection of Austrian dishes. 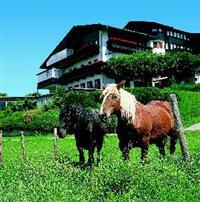 There are also sporting facilities at the Aldranser Hof Hotel Aldrans, including an onsite golf course. The hotel has a garden available to guests and massage services may be ordered for additional relaxation.